Sept.8, 2012 was, for most, a Saturday like any other. The heat of the Louisiana summer was slowly beginning to fade, the leaves on trees were preparing to change and college football was quickly getting into full swing. 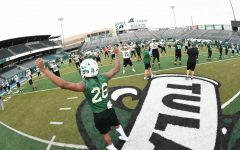 For Tulane football’s four-year letterman safety Devon Walker, however, this was the day when his life would change forever. About halfway through a game against the University of Tulsa, Walker was involved in a head-to-head collision with a teammate. Medical staff immediately rushed onto the field and, according to a Green Wave trainer, had to revive the safety on the spot. Walker was quickly rushed to St. Francis Hospital in Tulsa, Oklahoma, where he underwent surgery on what was later diagnosed as a cervical spine fracture. While the senior was stabilized, he would never have the capability or opportunity to fully recover. Following the injury, it was concluded that his C3 and C4 vertebrae were damaged, leaving Walker indefinitely paralyzed from the neck down. Despite this tragic end to his football career, Devon never lost hope for a bright future. 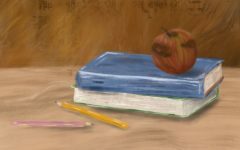 Following months in hospitals and a lengthy outpatient recovery process, the senior miraculously returned to his studies at Tulane in 2013. In May 2014, Walker graduated with a degree in cell and molecular biology and signed to a one-day contract by the New Orleans Saints. He is currently working towards a master’s degree in neuroscience here at Tulane. 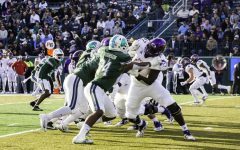 To this day, Devon continues to have a lasting presence in Tulane’s football program. He attends each home game, and his number, 18, is displayed prominently above a scoreboard in Yulman Stadium. His perseverance and courage in the light of a horrific situation serves as lasting inspiration for the entire Tulane community. This past Saturday, Devon’s legacy was enshrined forevermore in Wave lore. 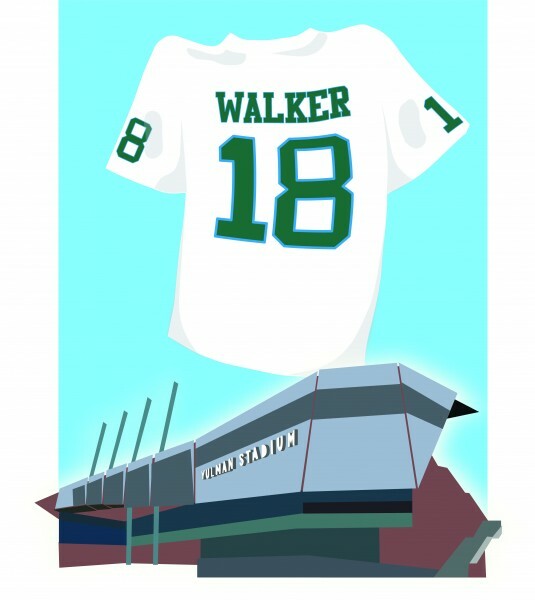 Tulane’s Troy Dannen, Ben Weiner Director of Athletics, announced that Walker’s number, 18, will be retired in all sports with the commencement of the 2018-19 athletic season. 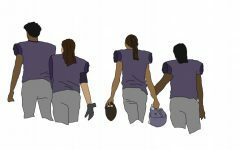 A program-wide retirement of a number is quite a rarity in college sports. This, however, shows just how significant of an impact Devon Walker has had on Tulane University and Green Wave sports in particular. A jersey retirement ceremony will take place at a Green Wave football game this coming fall. 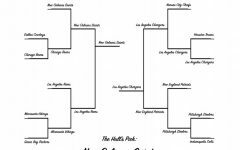 Tulane Athletics has yet to determine the game for this ceremony. 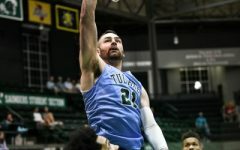 While Walker’s injury may have been more than five years ago, this unprecedented retirement reiterates Tulane’s long-term commitment to backing his pursuits. It is only fitting that such an inspiring story of hope be honored by the community which he continues to serve.